Do you love to sing? Do you enjoying singing with others? Then you’ve come to the right place. 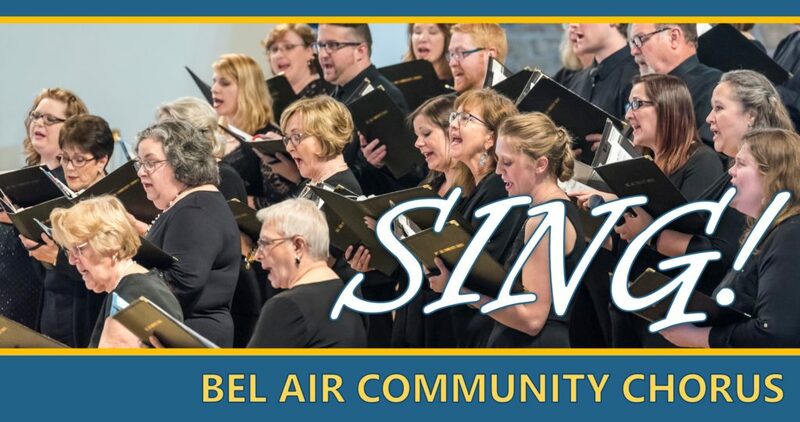 The Bel Air Community Chorus (BACC) is currently seeking singers for the Spring 2019 concert season. The BACC is open to anyone who loves to sing a variety of music both sacred and secular, classical and popular, historical and contemporary. Our members come from Harford County and surrounding areas to make a unique contribution to the arts in Bel Air, Maryland. Open to singers both high school and adult, our members come from a wide range of musical backgrounds and experiences. 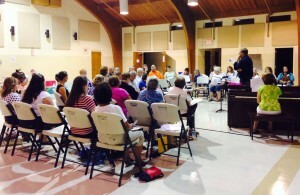 Rehearsals are held at the First Presbyterian Church of Bel Air, on Tuesdays 7-9 PM. No auditions are required to join the chorus. All voice types and experience levels are welcome! BACC performs in the community at a variety of locations and events including area festivals, sporting events, nursing homes, and assisted living facilities. Each season concludes with one formal concert performance at St. Matthew Lutheran Church in Bel Air. Our Spring 2019 Concert is scheduled for Sunday,May 5, 2019. A comprehensive list of performances will be made available at the first rehearsal of the season. Registration to sing is $70 per person, per season. The BACC offers a $55 student discount rate (9th through 12th grade only; ID required). Please be advised: registration fees should never keep anyone from singing. Please contact info@belaircommunitychorus.org for special fee arrangements. How Do I Register For Fall 2018? Our first rehearsal of the Spring 2019 concert season is Tuesday, January 8th at 6:45pm. Our first rehearsal is open to any and all who wish to learn more about BACC. Come see the fun for yourself, meet other chorus members and decide is BACC is right for you. For more information, please contact info@belaircommunitychorus.org. The Bel Air Community Chorus celebrates the power and joy of music by engaging singers and the community to share the beauty of the human experience. To foster growth in individual musicians, our membership and community support. Artistic excellence, civic and cultural engagement and collaboration.